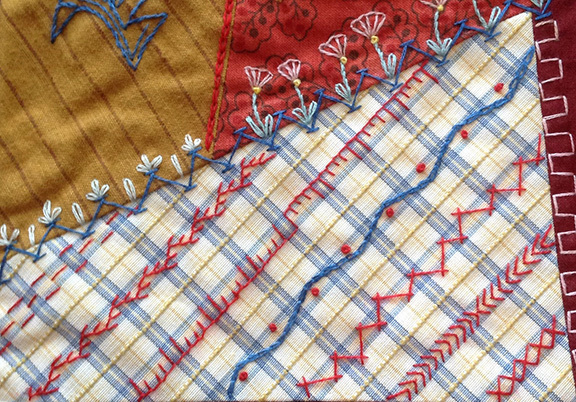 I love the inspiration that comes from antique quilts and this book was inspired by two! 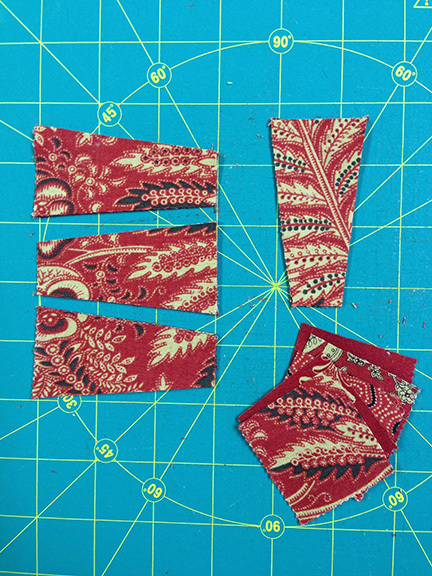 I’ve always wanted to make a crazy quilt, but was intimidated by all the lace, ribbons, embroidery and apparent haphazard piecing of the foundation blocks. 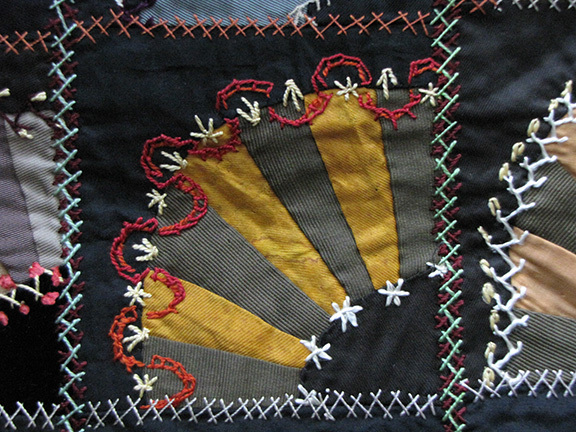 But I was drawn to the antique quilt that inspired the cover quilt, A Quilt to Dream Under. Family and friends helped me make this quilt and book a reality…in four fun and frantic months. 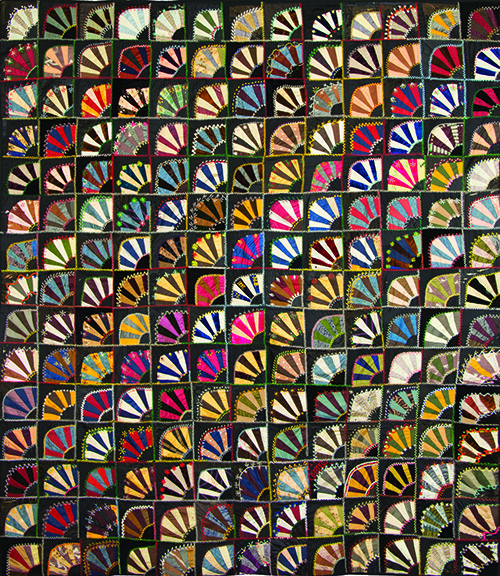 Along the way, another quilt was revisited resulting in the Fan Favorite quilt. 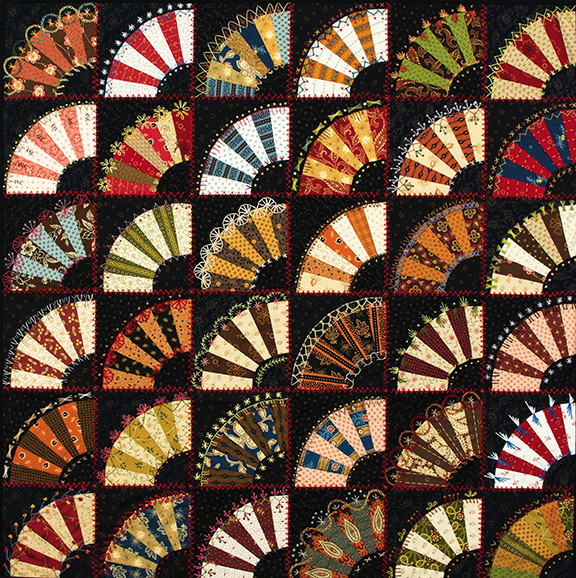 This little quilt was based on an antique made up of 195 4-1/2″ finished fan blocks, each with a unique embroidered embellishment on the curves of the fan. 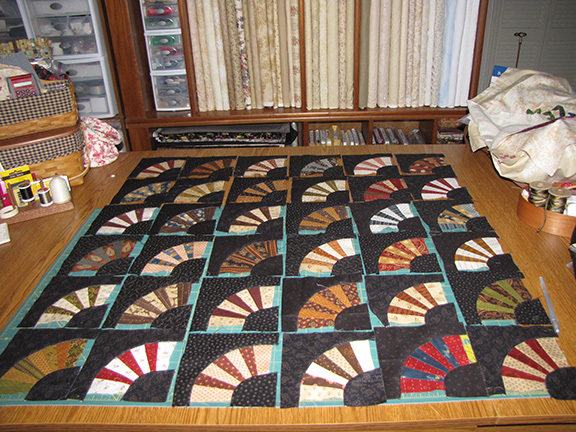 The blocks were totally scrappy, including the black background pieces. 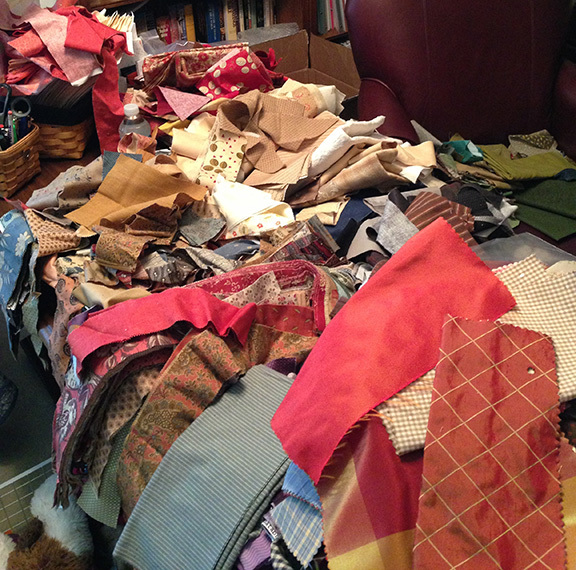 The quilter used velvets, silks, cottons, and even wool. 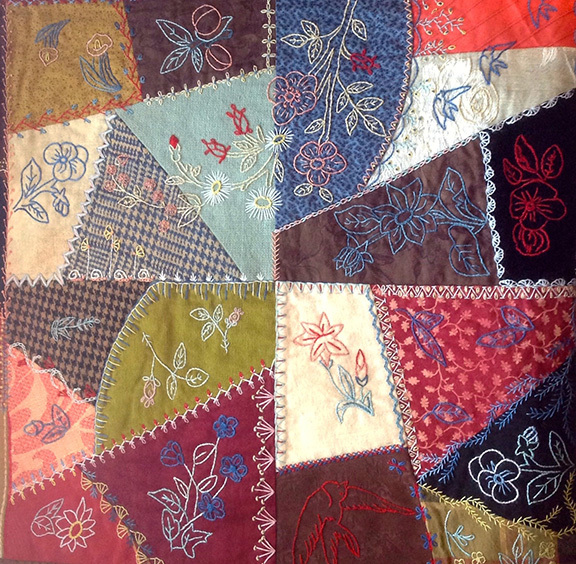 Our revisited quilt was made with all cottons, put kept the scrappy feel. And it’s a doable size…only 36 blocks. Each block is a mini quilt on it’s own. 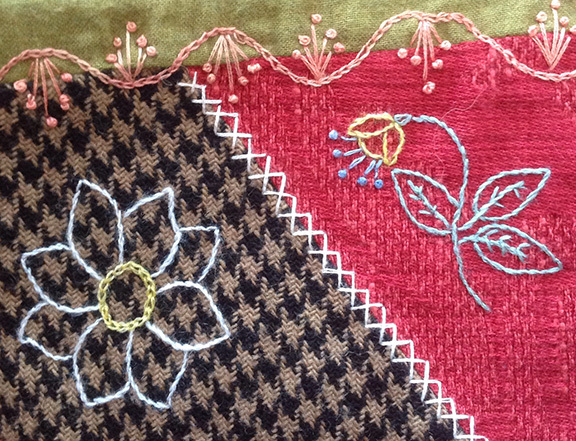 A great ongoing project, perfect for take along stitching. 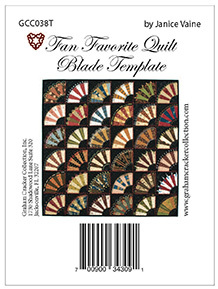 There’s an acrylic blade template also available for easy cutting of the fan blades. 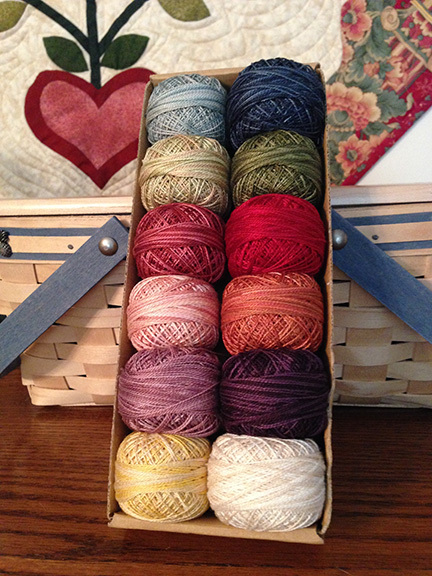 And there is a Valdani thread collection to make thread and color options easy. A charm pack makes at least 21 fans, and maybe a couple more depending on how scrappy you make the fans. 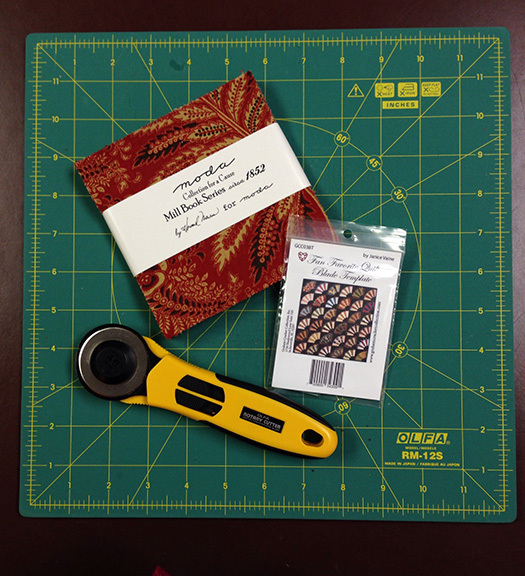 You get 4 blades per 5″ charm, plus some 1-1/2″ mini squares. Hmmmmm, what can we do with those? Fast and ready to sew in no time. I would love to see what you do with these little fan blocks. 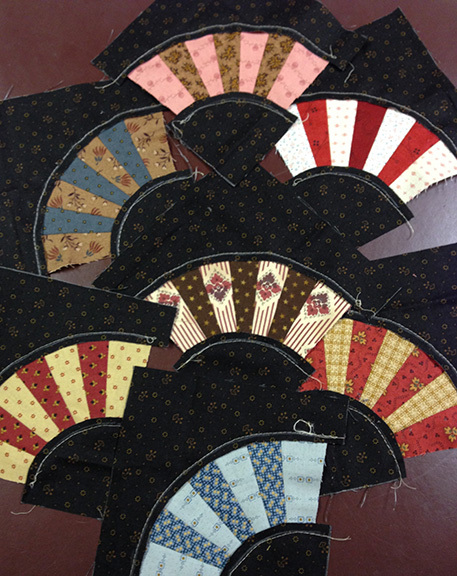 Watch my website www.grahamcrackercollection.com for more setting ideas for these adorable 4-1/2″ fan blocks. 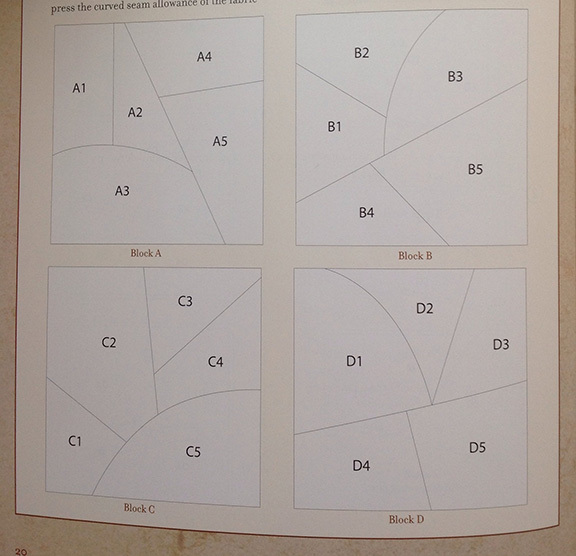 Check for this book at your local quilt shop! Shops, click here to order wholesale. Previous Previous post: What’s New for Spring? Think Linen! Thank you Jan for the post. I truly enjoyed reading it. I just love the fan blocks you presented. 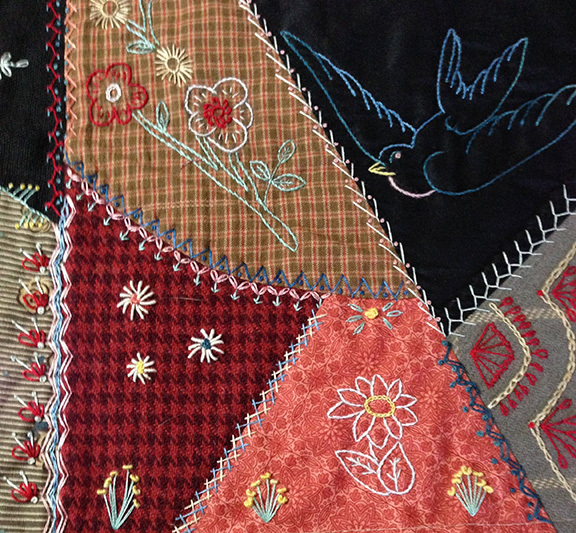 I am not too crazy for a crazy quilt but the one showing is the prettiest one I have ever seen.